He is lithe, gorgeous, and his kisses taste like rain. But how can I be his queen? I don't even have a country.Harmony is terrified when she awakens on a raft in the middle of the ocean with a deadly, tattooed Lord of the Sea hulking over her. But she quickly realizes he's the one who saved her from the storm--and that joining his undersea world is the only way she'll survive.Mer warlord Faier dreads his bride's terror as she stares on his wrecked body. 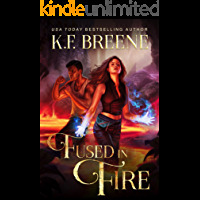 A lifetime of honorable service has destroyed his ability to woo a mate....Or can the purehearted female look past his scars when she willingly takes his muscled arm?This star-crossed pair is stranded deep in forbidden territory. Their foe has no compunction about killing Faier and taking Harmony. Because, according to the ancient laws, Faier is the true enemy. Until a long-buried secret changes everything...A warrior chained by duty. A bride who refuses any claim. A secret that will untangle a decades-old mystery of the deep.This is a complete novel with a happy ending! Contains the most heroic white knight warrior, his fair maiden--who isn't very fair and also finds herself taking up his trident, and a helpful pet octopus named Lady. Soak in the yummy undersea world of the Lords of Atlantis! He's an alpha griffin shifter. She's autistic. He's met his match...When firefighter Rory lays eyes on fire watcher Edith, he instantly knows she's the one. His fated mate. Now, to win her heart, he just has to protect her from:1. A raging wildfire (actually, she's already got that covered, thanks)2. The lightning-throwing invisible monster that started it (um, the what?)3. Killer bunnies (don't even ask)4. The appalling matchmaking attempts from his crew of misfit shifters (not only is this guy scorching hot, his dog is adorable too. And...weirdly smart?)5. His own animal need to claim her. Now. (if only she could look him in the eye...)Good thing that as a powerful griffin shifter, he can handle anything...right?There's only one problem.The last thing this autistic woman wants--or needs--is to be protected...Zoe Chant returns to the hot, hilarious world of the Fire and Rescue Shifters with an all-new series starring an all-new crew - now wilder than ever! 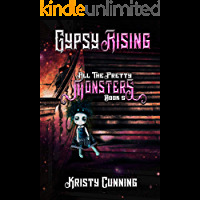 What paranormal romance fans are saying about this addictive series: 'Once I started reading I just was unable to put the book down until the very end.' 'The storyline was really interesting and often hilarious. I can't wait for the next book!' 'Fantastic and very unusual...Highly recommend' 'It has everything, mystery, dangerous foe,funny characters that have you laughing out loud.' 'Zoe Chant manages to build this amazing camaraderie that jumps off the page.' 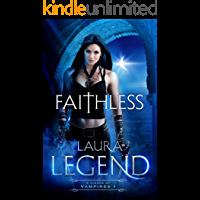 'I just fell in love with the characters'If you love your romance heaped high with humor, magic, and action, one-click this addictive series today! Jacqueline already had her happy-ever-after...Or so she thought--until her husband left her for a woman who could give him a child... and already had. Now she's divorced before thirty, working herself to the bone to pay off the mortgage on a house that will never be full of the children she dreamed of.Wolf shifter Arlo lost his pack years ago.He found a new home in Hideaway Cove, where shifters can reveal their true natures safe from human eyes. He has friends, a new family, a job. Everything he needs to build a life. But without a pack, there's still a hole in his heart--even if he can't see it.Three shifter kids desperately need a family...Jacqueline doesn't know what to expect when she responds to an emergency call-out in a remote marine reserve, but it's nothing like this: three lost children who can turn into seals, and a ruggedly handsome man who makes her blood run hotter than it ever has before.Jacqueline gave up on happy endings long ago. Arlo thought he'd already found his--at least, as happy as he was ever going to get. But with three unruly seal shifter kids in the mix, they're about to find out just how wrong they were.THE SEA WOLF'S MATE is a hot and heart-warming shifter romance about finding love and family where you least expect it. All Hideaway Cove books can be read as standalones, with happy ever afters guaranteed! I'm just a girl trying to survive. Dying? Unexpected. Coming back to life? Even more so. Now these four snarky demons are haunting me. Shirtless.It turns out you can die and live again. At least I can.When a night out goes murderously wrong, I chose leaping to my death over getting tortured. Except it turns out I don't die like everyone else.I'm a phoenix -- or so they tell me. Apparently I need training at the Phoenix Academy.What I really need is to get rid of the four demons haunting me wherever I go, showing up when my heart is beating fast -- whether I'm nervous, afraid, or well... other things.But I also wouldn't mind learning how to light things on fire with my mind or take out a man twice my size with my bare hands. 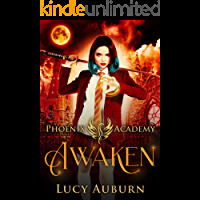 All things the instructors at the academy want to teach me... if I can survive long enough.Because there's something deadly lurking in these halls, and it's coming for me next.Welcome to the first year at Phoenix Academy, a place where the paranormal lives -- and dies -- and lives again.This paranormal reverse harem contains mature themes, a few violent scenes, and no choosing. Reader discretion advised.